Milwaukee has hundreds of empty homes, a rising number of homicides, intractable joblessness, and questionable public and private school systems. Now, with the end of the residency requirement, city employees can flee the city for the suburbs. How will Milwaukee survive? Mayor Tom Barrett is wringing his hands at the city’s prospects. Gallagher see cities growing because older suburbanites are trading in their large suburban homes for smaller city dwellings with less commuter traffic, more restaurants and cultural offerings, and greater ethnic and racial diversity. The luster has come off the suburban lifestyle that developed after World War II, says, Gallagher, and people are rediscovering their cities. Despite all its financial woes, the city of Detroit is now growing faster than its surrounding suburbs. The same is true in other cities across the country. But what about Milwaukee? Is Barrett right to be worried? 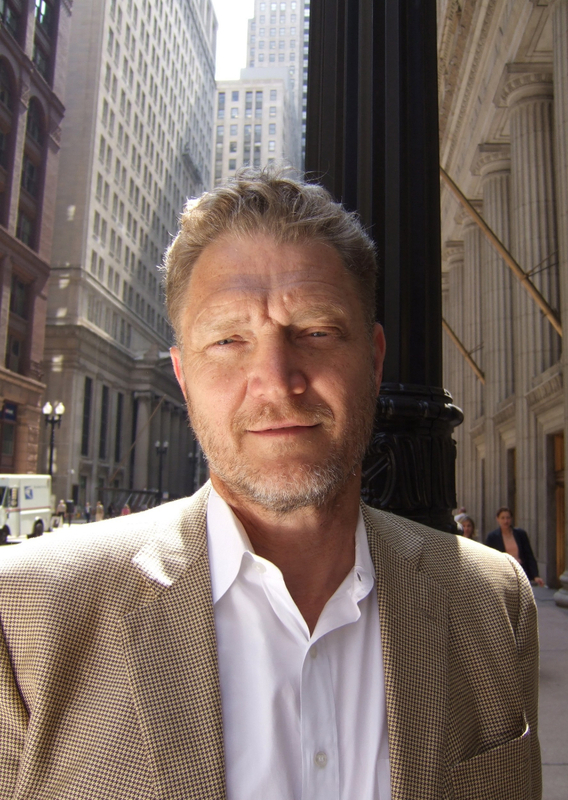 Actually, Milwaukee is about to enter into a new renaissance says John Norquist, former Milwaukee mayor and now the president and CEO of the Chicago-based Congress for New Urbanism. Norquist agrees with many of Gallagher’s conclusions. Worried about public employees moving to the suburbs? Let them go, says Norquist. “Milwaukee doesn’t have to be desperate about population,” he says. Baby Boomers moved to Brookfield and Pewaukee thirty years ago and built four bedroom homes with three car garages and oodles of space. Now they are empty nesters with their kids grown, and their homes have become echo chambers. They want to move to the Third Ward and the East Side with fine restaurants and entertainment all within walking distance or a short drive. “Boomers are downsizing and who is going to buy their McMansions?” Norquist asks. Moving to the suburbs for lower taxes? Think again, says Gallagher, who predicts property taxes in suburbs are about to skyrocket. Originally suburban taxes were lower because developers put in all the roads, sewer and water lines. But as suburban infrastructure needs replacing, each street may have only a half dozen homeowners to bear the costs. A city block may have two or three times the number of homeowners to spread the costs. The only way suburbs can keep down taxes is to keep building and have developers open new subdivisions to spread the increasing costs. Norquist echoes Gallaher’s label that this strategy is nothing more than a giant “ponzi scheme.” When a suburb can no longer expand, the bill will come due. Add to that another problem facing suburbs like New Berlin and Waukesha, who find their local drinking water doesn’t meet acceptable standards, and may find Lake Michigan water difficult to obtain. “The best city in terms of real estate market percentage growth in North America in the last 20 years is Vancouver, British Columbia. And Vancouver has not one separated highway in the city, not even one,” says Norquist. Portland, OR built mass transit instead of freeways, he notes, and its downtown is filled with shops, department stores and fine dining. Congestion is good, forcing goods and services to come to the people, not the other way around, he argues. “Downtown Milwaukee has the highest value per acre of any place in the state. And run the road right through the middle of it? Silly,” says Norquist. The failure of Grand Avenue, Norquist admits, “casts a dark shadow…Downtown suburban style malls all fail.” But malls aren’t doing much better even in the suburbs, he notes. The age of enclosed shopping malls with huge parking lots is dead, he contends. Norquist points to Bay Shore, which turned its back on the traditional indoor shopping mall and is thriving by recreating a main street shopping environment. His harshest words are directed at the Milwaukee Journal Sentinel, accusing it of pushing the idea that Milwaukee is the most segregated metropolitan area in the country. Can cities like Milwaukee survive without an infusion of money from the state and federal government? After all, with high poverty rates, how can cities support themselves? Republicans are more about cutting taxes rather than injecting money into Democratic dominated cities. Norquist believes the most important takeaway from The End of the Suburbs is Leigh Gallagher herself, for she is assistant managing editor for Fortune magazine, an economically conservative publication. The title might be somewhat of an overstatement, reflects Norquist. Suburbs aren’t actually going to end, but their predominance in the metropolitan landscapes is diminishing. However, we have heard this song of the rise of cities before. 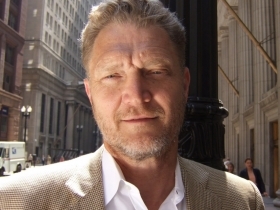 It was fifteen years ago that John Norquist wrote his own such manifesto in his book, “The Wealth of Cities.” Instead of a new renaissance, as predicted, this country was plunged into the worst economic crisis since the Great Depression. Cities often fared the worst. So is Norquist the brave cheerleader belting out support for the home team while the opposition runs up the score, or is he right this time that cities are really going to win? Is Mayor Barrett’s often gloomy assessment more realistic? After all, Barrett is on the field tackling the city’s problems; Norquist is the former mayor watching from the sidelines. Which leaves us, the public, trying hard to figure out the score. How is a city that is shrinking growing faster than its suburbs? You mean not declining as fast? Reading that in the begining has made me suspect of the whole article. Detroit hit rock bottom a couple of years ago. They are nearly giving away empty houses, so, yes, Detroit is slowly starting to grow again – but it is still a mess in many neighborhoods. I agreed with Norquist’s idea to tear down the Park East Freeway at the time and still think that was a good and courageous choice, but fundamentally disagree in philosophy on the rest of the freeway system in the Milwaukee metro area. However, I certainly wouldn’t build any new freeways, just decongest the hopelessly overloaded critical points in the current system. Overhauling the Zoo Interchange as planned will accomplish much good, in my opinion. I agree with the general point that cities and urban areas are on the rebound. This type of environment and lifestyle seems to hold more appeal for younger generations, in contrast to the WWII generation and boomers who despaired of the city and embraced suburban living. It appears I was the one who actually misspoke — in reality, the nonsense about Detroit’s population I attributed to Mr. Norquist is apparently from the author of the book discussed in the column, as near as I can make out, anyway. I really enjoyed this article (despite the begining). The “meat” of the article I agree with that suburbs will not remain attractive because of low taxes and the city offers many more amenities. The of the article is what Milwaukee’s problem is though. Norquist shook things up, Barrett……is a do nothing, glad he never won governor (I’m not a Walkerite) and sad that there probably will never be a viable progressive canidate to oppose him in a mayoral election. Most of the growth here are because of John N and if Milwaukee could’ve found a similar replacement imagine where we’d be now. We’re losing momentum. @Casey I agree Norquist played a big role in what we see today in Milwaukee. But for example would the NML deal of happened or Manpower? I’m not sure. GE Medical didn’t. Johnson Controls invested in renovation of their downtown facility and expanded the Glendale complex. We Energies renovated their downtown 100-year old building when they could have just dumped it. The economic downturn slowed development in Milwaukee to a near halt. The Brewery complex is still in progress but has also been slowed. Many retired people are staying put in their homes and remodeling them since options to moving into a condo are not as attractive. Many have moved to condos in the downtown area that offers less driving, more walking and biking. It is a slow to moderate transformation taking place. Look at what has happened in the Menomonee Valley and 3rd Ward since the 1990s. A lot of people thought this was all crazy. And Norquist did lay the groundwork for it with many on his staff. Barrett picked it up and ran with it. These project areas can be repeated elsewhere but take time, detailed planning, cooperation and work. And freeways can be made to behave and work better in a community than just bypass everything and act as a barrier. What disappoints me about The Norq’s remarks is that he seems to have drunk the Kool-Aid without talking about larger Milwaukee. As much as I love Milwaukee–its downtown and the East Side and Bayview and the Third Ward–the city is much more than that. It includes 27th &Locust and 68th &Morgan and 107th & Calumet. Scott – you are correct that a lot of emphasis is played from historians and planners about the central area. The McGivens/Gurda show is doing more on their new show the last few years exploring other neighborhoods and small cities. Some areas and background we have to explore on our own for discovery and who were the people that made up the area and added to the growth. When I looked at my own family that arrived in Milwaukee in the 1860s to 1880s, they formed the backbone of the labor market in difficult jobs, like many Poles from the Poznan area of Prussia/Poland. They expanded out from the St. Stanislaus parish to form many of the other churches and parishes on the south side. St. Adalbert Cemetery is a who’s who of these people. There is a good possibility that many people of Polish ancestry in the Metro area are related as 4th through 8th cousins. So we are linked in many more ways than we care to think about.